Alexandra Lloyd Properties offers a wide selection of luxury villas and apartments for rent and sale along the South of France, French Riviera, Cote d'Azur, and Corsica. The most ultra glamorous centres of the French Riviera are Saint Tropez, Cannes, and Monte Carlo (Monaco). The International Cannes Film Festival is famous for the luxury hotels and the sunbathing beauties, which indeed attracts a Jetset crowd, from Hollywood stars to royalty. Later on in the month of May, the jet-setters usually follow on the fete in Monaco for the Grand Prix. A wonderful place to people watch! Despite all of the hype of the French Riviera, even in the most built up areas, the Cote d'Azur in South of France still offers its greatest asset, the perfect blue water which gave the coast its name. The Côte d'Azur is known as the international playground for the jet set, the travelers with money. Just a stones throw away from our luxury villas, you will find a long list of high quality hotels, chic boutiques and excellent restaurants. 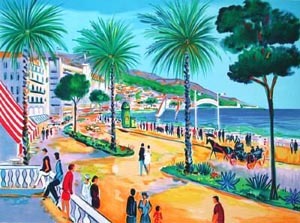 The infamous Cannes Film Festival, held each year in May, is known as one of the Côte d'Azurs most exciting even. During the summer, it is true to say that the Cote d'Azur is very busy, with crowds and traffic, certainly near to the most popular resort towns. Those travelers who explore out of season have a great surprise, as the South of France still has a great deal to offer in the way of quiet fishing ports and people free beaches. Wonderful spots can be Hyeres, Antibes and Saint Raphaël. The French Riviera is one of the most popular destinations in the world. Whether it be for a one week vacation, a second home purchase or to live here full time, there are a list of reasons why. The fact that the South of France offers almost 300 days of guaranteed sunshine is a big selling point. Once you get accustomed to the sun, it is difficult to tear yourself away! Hot and busy summers are often too hectic for home owners, hence the reason why they offer their homes for luxury villa rentals. People find it very easy to commute from the French Riviera, as Nice International Airport is extremely well severed offering hundreds of daily flights to many world destinations. There are several extremely well known towns along the Coast, but there are also smaller villages which are extremely appreciated and visited by locals. Beaulieu is one of the most beautiful villages on the French Riviera, offering an excellent position between Nice and Monaco. A really calm, well kept town offering all amenities such as lovely coffee bars, restaurants, supermarkets, port. The most well known restaurant of Beaulieu and even the Coast is the African Queen. Their signature truffle pizza is truly delicious, and it is known as an institution. Although it The architecture of Beaulieu is beautiful, many belle époque residences which are impeccably maintained. Beaulieu also offers a Casino and a large port. It is home to La Reserve de Beaulieu hotel, the Berlugin Beach, and Zelos. Saint Jean Cap Ferrat is the neighbouring town of Beaulieu, the peninsula beginning just after the Royal Rivera hotel on the Saint Jean bridge. It is often reported that Cap Ferrat is the most expensive town/village in the world, due to the astonishing real estate transactions that are carried out here. Saint Jean boasts extreme elegance, with historically important mansions within large grounds. There are several villas for rent in Cap Ferrat although there are also many which are “off market”, as the owners prefer to be more discrete; These are villas that are held on private files and can be supplied upon written request. The Cap d'Antibes is a peninsula which is located in between the town of Antibes and Juan les Pins. It is known to be a very elegant area of the French Riviera, particularly known for the fabulous Hotel du Cap Eden Roc. It offers a wonderful selection of luxury villas for rent and for sale, dating back to the Belle Epoque and Art Deco era. It is an ideal family destination, being calm and close proximity to sandy beaches. Eze is a mountain village and is located in between Beaulieu and Cap d’Ail. It is a very large village as it is one of the few that stretches through all three corniches (the “corniches” are three roads built by Napoléon I and run from Nice to Menton) The Grande Corniche in Eze offers by far the most exceptional views along the coast, from Italy, to Saint Tropez and even to Corsica in the early morning. Eze Village dates back to the medieval times and is also home to the wonderful La Chèvre d’Or - two Michelin star hotel and restaurant. The views from here are also spectacular ) overlooking Saint Jean Cap Ferrat, the city of Nice, the Cap d’Antibes and Cannes. Houses in Eze tend to be more contemporary, and often with limited garden space as they are built on the mountain side. One of the most stunning hotels on the Riviera, the Cap Estel is also located in Eze. This truly elegant hotel is perched on the water front and is a delight. Monaco is one of the smallest countries in the world, but one of the most well known, possibly due to the glitz and glamour that it attracts. The Principality occupies just under two square kilometers (0.75 square mile) of the Cote d'Azur but that does not prevent people from wanting to be seen here! There are very few houses or villas located in Monaco, and many apartments. There is a high demand for the Monaco Grand Prix, the fabulous Formula 1 race that takes place through the streets of the Principality. Monaco also offers some of the best fine dining in the world and offers an extremely high level of security. Roquebrune Cap Martin is a small town however containing many extraordinary villas, just East of Monaco and very close to Italy. The Domaine du Cap Martin is home to some of the largest properties on the French Riviera, with exceptionally large pieces of land. Many properties have the privilege of overlooking the Principality of Monaco, and the French coastline and even the Italian coast. Cap d'Ail is a small village located on the border of the Principality of Monaco and to the West side, Eze. It is a quiet and discrete, ideal for those who want to be close to Monaco, without being in it. Cap d'Ail offers a stunning collection of Belle Epoque villas, on the water front, unfortunately not all are for rent! There is a small village centre with several supermarkets, shops, cafes and restaurants. Mougins is a surprisingly large commune located around the city of Cannes, but it known for its pretty village which is home to many excellent restaurants and museums. Two of the most well known restaurants include "Le Moulin de Mougins" and "L'Almondier". It is also the place where Picasso owned his last house on the Riviera. Valbonne is a charming town located just behind Cannes and close to Roquefort les Pins, Opio and Mougins. It is a popular destination for Northern European/Scandinavian and English clients as either holiday homes or full time residences. The close proximity to Mougins School is great advantage to those who live in the area full time. Valbonne offers a pretty centre with several bars and restaurants. Nice is the largest city of the French Riviera, also the 5th biggest city in France; It is home to an exceptionally well served airport with direct flights to many worldwide destinations. It is also famous for one of the best restaurants, La Petite Maison! Saint Paul de Vence is possibly one of the most charming villages along the French Riviera, with a superbly maintained architecture and a fine collection of art galleries and restaurants. Saint Paul de Vence is also home to "Les Hauts de Saint Paul", a wonderful private residential domain, offering a selection of large properties with amazing views over the countryside and sea. It is also very well known for the fabulous hotel and restaurant "La Colombe d'Or" which attracts many from afar. Tourrettes sur Loup is a beautiful medieval village located to the North of Vence and close to the famous Saint Paul de Vence. It is an approximate 35/40 minute drive from the airport and the centre of Nice. It is a popular village amongst Northern European, British and Americans for second homes. There is a local market and a village centre with several bars and restaurants. Super Cannes is a residential neighborhood located in the hills just behind the city of Cannes. It is one of the areas where the largest villas in Cannes are located, along with La Californie. Views from Super Cannes are often spectacular, overlooking the city and the Mediterranean sea. It is a perfect location for those wanting to be in a peaceful environment but a close distance to the town. Super Cannes as an area offers a very large selection of luxury villas both for rent and for sale. Les Parcs de Saint Tropez is a private residence, home to approximately 300 houses a short distance to the centre of Saint Tropez. It is a popular domain due to the proximity to town and the Salins beach, high security, a peaceful environment and a prestigious address. Les Parcs also offers a private beach which is walking distance to this property, although being on the water front, one can just jump into the water from the house! See more here. Corsica, affectionately known by the French as the "Island of Beauty" should give you an indication of how wonderful it is. The Mediterranean island located South of the Cote d'Azur and directly North of Sardinia is geographically separated in two parts, the North and the South. Northern Corsica "Haute Corse" is known to be more wild and sauvage than the South which is a little more sought after, mainly thanks to the popular town of Porto Vecchio. Auron is a popular ski village amongst locals, as it is very close to the French Riviera - 1h30 minute drive - 90 km - 60 miles north of the city of Nice. Offering 135km of ski runs, an elevation between 1600m and 2400m, part of the Mercantour stations and the Tinée Valley. The town of Saint Etienne de Tinée is located before Auron. There are a selection of restaurants both in the town and on the slopes. The official Auron website is informative for weather reports, webcams and ski passes can be bought on line.